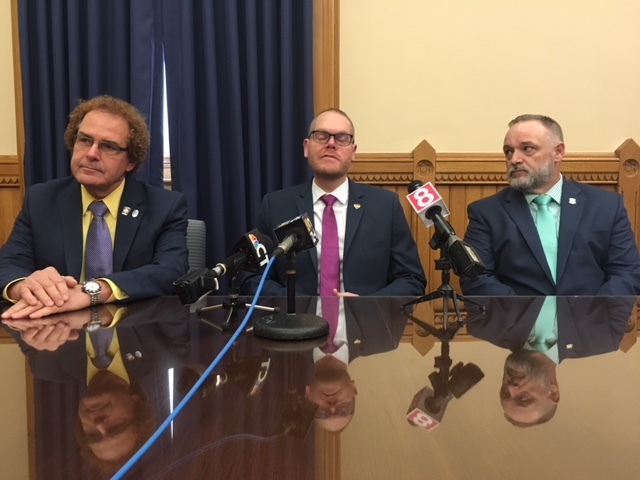 Reps. Tom Delnicki, Jeff Currey and Kurt Vail. House Democratic leaders tried Wednesday to jump-start stalled efforts to address the crumbling concrete foundation crisis in eastern Connecticut, joining two rank-and-file Republicans at an unusual press conference with potential implications for the last weeks of the 2018 session and the campaign for control of the General Assembly. House Speaker Joe Aresimowicz of Berlin and House Majority Leader Matt Ritter of Hartford pledged to support a $10 surcharge on insurance policies that would provide a second source of funding for a limited relief program adopted last fall, committing to a measure viewed dubiously by House Minority Leader Themis Klarides, R-Derby, and much of the GOP caucus. The bipartisan budget passed last fall included $100 million in borrowing over five years to provide relief to owners of homes with concrete foundations containing aggregate from a Willington quarry contaminated with pyrrhotite, a naturally occurring mineral that corrodes and causes massive cracking when exposed to groundwater. The state is creating a captive insurance company to assess and pay claims by homeowners who are confronted with six-figure estimates to replace their foundations. So far, the insurance industry has declined to view the damage as covered by standard property and casualty policies, which generally cover losses from fire and storms, not defective construction. A similar issue in Canada eventually was the subject of a national bailout. Officials from FEMA and the U.S. Army Corps of Engineers have inspected the damage, but have declined to declare it eligible for federal disaster relief. State officials estimate 30,000 homes could be affected, roiling the real-estate markets in eastern Connecticut. 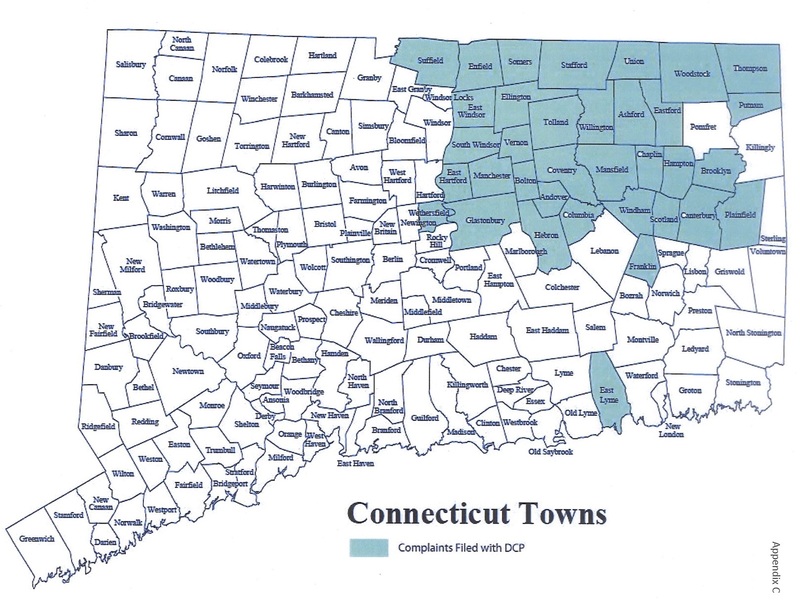 And that is a likely talking point in campaigns for seats in eastern Connecticut, a region that leaders of both parties say has a relatively large number of competitive legislative districts. The state’s Senate is currently split, 18 to 18, while Republicans could win control of the 151-member House this fall if they can make a net gain of just five seats. Delnicki and Vail, who have numerous constituents affected by crumbling foundations, attended the press conference with the knowledge of Klarides. Aresimowicz promised to call a vote on the surcharge — a concept that could not win passage in any committee — before the session ends May 9. He said the proposal would be offered as an amendment to another bill.